How you can use a dog crate or dog run when training your dog, and why this is a great technique. “Crating” means teaching your dog to be comfortable in a dog crate, which is a container made especially for dogs. Crates come in different sizes. A dog should be able to stand up and turn around in his crate. It should be cushioned for the dog’s comfort, and fresh water provided at all times. Using a crate can be a great training aid (see below), and is especially good for owners who don’t have sizeable yards for a dog run. However, no dog should ever be forced into a crate, nor kept there 24 hours a day. The crate should never become a place of fear, punishment, or abandonment for your dog. “ Kenneling” refers to keeping your dog in a dog run. A dog run is usually about 4 feet wide and 15-20 feet long, and is surrounded by chain link fencing. It often has a dog house, or at least a place for shade, and sun. Dogs can be contained in a run for longer periods than in a crate. However, no dog should be confined 24/7 to a run, and it should only be used in conjunction with sound training practices. Both the Crate and the Kennel should be used with the ultimate goal of integrating your dog into your home and family. 1. Stops adrenal stimulation: A hyper, excited dog cannot think, learn, or follow directions, and will revert to his instinctual behaviors. Kenneling automatically calms the dog by containing his energy and preventing an escalation of adrenal excitement, such as nipping or mouthing you, or jumping up on you. Over time, the calmer behavior becomes ingrained and automatic, as your dog learns what you want him to learn. Kennel or crate your dog at least ½ hour prior to training sessions. 2. Containment of territory helps to teach your dog that you are the one in charge of the property, not her. In the long run, this will translate into your dog respecting the property (rather than destroying it) and respecting your decisions concerning who is allowed on the property. 3. Leverage: Kenneling greatly increases your dog’s motivation to work with you and to look to you for direction. By eliminating tempting distractions such as other people or dogs, exciting new places to sniff, etc., your dog becomes much more interested in learning how to please you. His devotional bond to you will develop and strengthen, so that later on, when he is exposed to temptations, your wishes will remain the number one priority. In practical terms, this means that your dog will come when you call, even if something else out there beckons. 4. Separation: Keeping your dog separate from you during the initial period of intensive training prevents an unhealthy co-dependency between you and your dog. She learns to tolerate periods of being alone, while learning she is safe and her needs will be met. This will prevent the all-too-common problem of a dog who demands to be with her master all the time. Such dogs often react to being left alone by destroying property or barking incessantly when the owner is absent. 6. Promotes a positive working relationship: Kenneling, along with instruction in appropriate training techniques, provides structure (boundaries) to the relationship and minimizes the variables in your relationship which may have contributed to your dog’s unwanted behaviors. During the time your dog resides in his kennel, you will learn the skills and attitudes necessary to take your place as Master. You will learn, step by step, how to engender your dog’s respect, trust, and willingness to serve you. With repetition and consistent training, the desired behaviors will gradually become automatic for your dog. Self control and a desire to serve her Master will replace impulsive, instinctive, and destructive behaviors. Permission granted for personal use by trainers. Commercial use is prohibited. 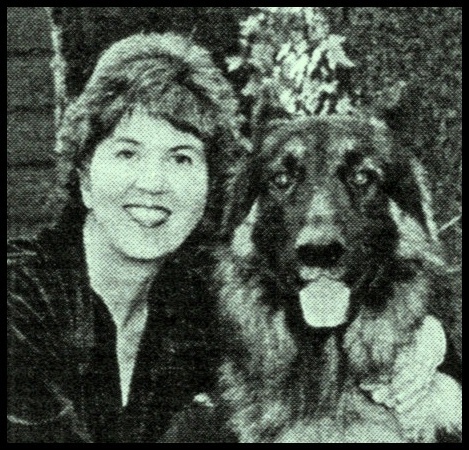 Copyright 1996 by Judy Aizuss, “Teach Me Gently” Dog Training. Judy Aizuss, M.S. was trained and certified by C.W. Meisterfeld in his no pain/no fear approach to dog training. This approach saved her own dog’s life, when other, harsh trainers advised her to euthanize him. Gringo led a long and happy life, thanks to the Meisterfeld dog training approach. Judy is also a gifted Flower Essence Practitioner,and has successfully helping animals and their people for 25 years withi this drug-free therapy. For questions or appointment, contact Judy at judy@essentialhealingbyjudy.com.